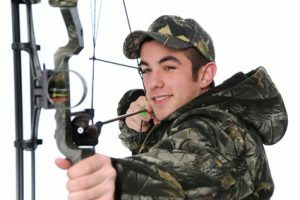 If you are looking for a simple compound bow that’s ideal for a young archer then the Barnett Outdoor’s Duck Commander offers itself as an ideal bow to start with. There are a number of factors that make this so, and though we will explore them in detail soon, it is noteworthy to state that these factors are specific to the needs of a young archer. 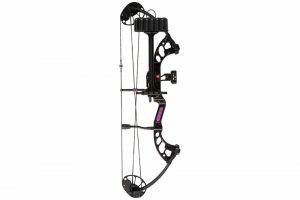 As the name correctly implies, everything from the design to the size and weight of the Barnett Junior Compound Bow is made with consideration for its users. While the fact that it is not made for advanced archers may seem like cause to overlook it, the fact that there are additional concerns raised when children use bows means that there are added factors that require a review of its own kind. A bow for children needs to be more convenient for them, and in that sense, there are some features required of it that bows for professional archers may not necessarily need. 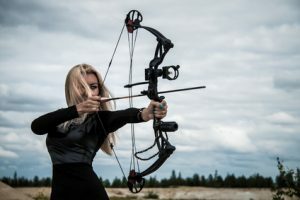 Moreover, the very purpose of a compound bow is to improve an archer’s game through its advanced features and this does not change for beginners. Young archers need to be encouraged if they hope to advance in the practice and hitting their marks is the best way to provide that sort of encouragement. A product designed for a specific target group deserves a review of equal specificity. To begin, we will look at all the features included in the Barnett Junior Bow. The bow allows a peak draw of up to 25 pounds made possible by the cam system it features. The further back an archer pulls back on the string, the more strength is required, and the result is a steady and accelerated shot that is sure to improve their game. 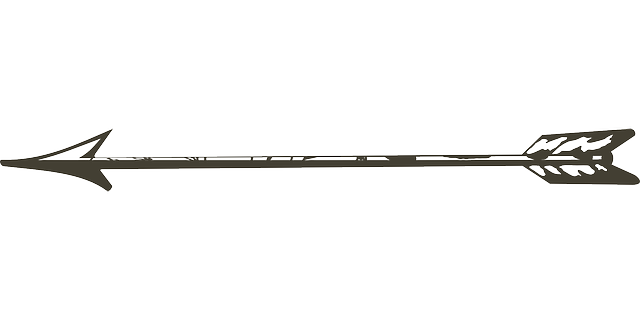 The bow’s draw length allows for up to 24 to 26 inches. The Barnett has rigid limbs at the center, where the arrow and one hand are placed, though it thins out after that, leading up to the levering system. 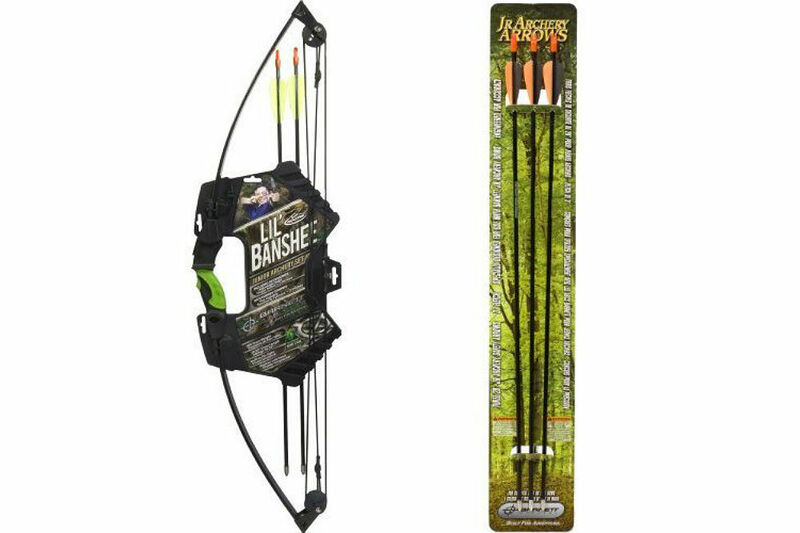 This design allows the bow to be lightweight, which is ideal for young and beginner archers. 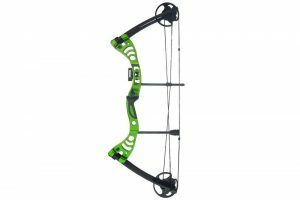 The bow‘s accommodative design makes it such that it is suitable for both left-handed and right-handed archers. This is featured in the riser, an adjustable part of the bow and one that is extremely important in helping archers improve their aim. It is also fitted with a reinforced grip, making it just as comfortable to grip on as it is to maneuver. 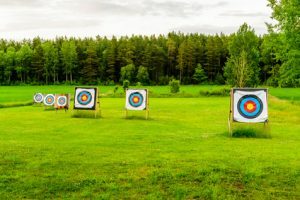 This is important as young archers will want to spend a lot of time practicing, and apart from the potential weight of the bow, the ability to hold it for long periods of time comfortably is also important. It features two supplementary arrows and a quiver to allow buyers to get started right after purchase. The Bernett Junior Bow is everything that it needs to be and nothing more. 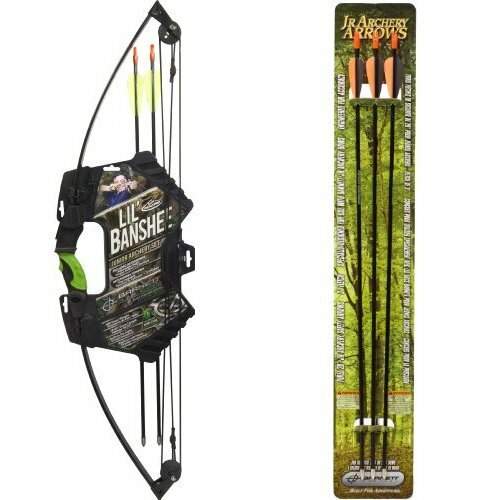 For those looking for a simple bow to start their kid’s off, this is a great pick. 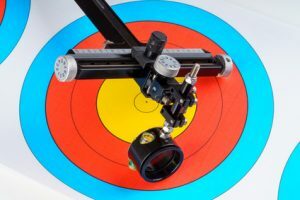 It provides conditions to ensure that a young archer is comfortable in their game with the features added in the design, and once the games begin, improved results should be noted early on. It is also of a good quality, meaning it is suitable for usage come rain or sunshine. Despite all its considerations, however, it still manages to be just a bow and not all you would want. 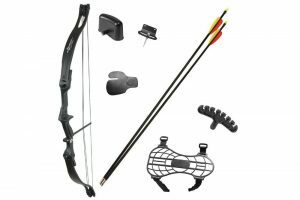 Though it has all the essentials of a compound bow, a few added features to supplement the bow would not have gone amiss. Apart from that, it seems to perform reasonably well, making it the ideal bow for young and beginner archers.